Thanks for visiting Atlantic Kitchen & Bath LLC conveniently located in Lewes Delaware. We established Atlantic KB to extend the fine workmanship and tradition that we perfected by building superior custom homes in Sussex County and the wider Delmarva area. We offer the finest in cabinetry, flooring, fixtures, countertops, hardware, appliances and closet systems. Our professional staff will be happy to guide you through the design and selection process and our management team and installers will ensure that your dream concept is completed on time and within budget. Bath, Kitchen and Tile Center has been remodeling home needs for customers throughout Delaware, Pennsylvania, New Jersey and Maryland for over half a century. One Call Services is a full service home remodeling company serving Eastern SussexCounty, DE. Our goal is to deliver high quality work in a timely, friendly manner, utilizing advanced and efficient products and techniques. We are a one-stop-shop source for all of your home remodeling, home improvement, and home repair needs. At One Call Services, we understand the frustration consumers have regarding our industries reputation of not living up to the basic standards. The name One Call Services and our motto “We Show Up!” reflect our desire to deliver something better. We strive to provide superior customer service to ensure that our clients’ projects run as smoothly as possible. We return calls promptly, provide in-house designers and proprietary costing methodology, have fast turn-around on estimates, provide detailed contracts, and handle work promptly and courteously. Call us today to schedule a consultation! We Help Support Habitat for Humanity! For the past 31 years, Boardwalk Builders has operated with the highest of standards, with professional, responsive, accountable, and uniquely capable craftsmen and managers. Accessible Solutions LLC is a partner with thousands of people recognizing life is ever changing and sometimes with needs a little “out of the ordinary.” Perhaps you have a special needs child, a physically challenged spouse or an aging parent that requires extra help. Perhaps you have a loved one who desires to remain in the comfort of their own home. We offer temporary and permanent modifications to enhance your loved one’s daily quality of life. 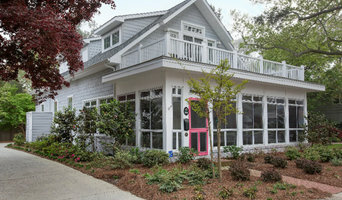 Coastal Delaware Award-Winning Custom Remodeler | 4x Best of Houzz! Inspirational Design | Meticulous Craftsmanship | Unsurpassed Value. Our logical, step-by-step process inspires confidence, empowering you with the knowledge to make informed decisions. Colmar Kitchen Studio is family owned and operated. We specialize in combining superior service with unparalleled quality to complete the kitchen or bath you have been dreaming of. We are experts in kitchen design with traditional and contemporary styles. Working together with you, our designers and highly-skilled installation team will coordinate the completion of your perfect kitchen. Visit our impressive showroom located at 7 S. Essex Ave. in Margate, or 3025 Dune Dr. in Avalon as your first step in creating a kitchen that YOU'LL LOVE. Our showroom allows you to see our creativity, the products we sell and to gather inspiration from the kitchens on display. We offer the full range of fully-custom Wood-Mode & Poggenpohl cabinets and semi-custom Brookhaven & Goldreif cabinets During your visit to our showroom, a designer will discuss project specifics and your ideas for your space. You are welcome to browse through our showroom, but we do suggest an appointment to ensure a designer would be available to assist you. After your initial conversation with a designer, our process begins with a job site inspection, where your designer will obtain an inventory of needs and requests and offer initial design solutions. After this meeting a detailed floor plan, graphic presentations, and a written proposal will be created for your project. This is all done at no cost to you! If you are ready today for a design consultation, please contact us in advance to schedule an appointment! We understand that your home is an integrated reflection of your sense of style and taste — a reflection of who you are — and we take time to do your project right. We are dedicated to hiring and keeping the best carpenters in the industry and have made a commitment to the training and education of all of our carpenters through trade seminars and monthly staff meetings. We are very proud of our work — and our workers. By creating a positive work environment, we are able to create long-standing relationships with our carpenters and specialized tradesmen — and with you. At Boardwalk Builders, we bring together a diversity of professionals and craftsmen in residential design, building and construction. Coastal building presents special challenges; we like challenges & offer comprehensive solutions to keep you comfortable, green & sustainable here at the beach. Be assured that Boardwalk Builders’ contracts have a firm price & we warrant our workmanship for two years. 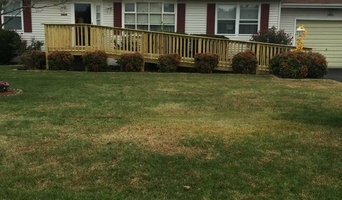 Boardwalk Builders, Inc. has been in business since 1986, is licensed by the State of Delaware, carries full liability and Workers’ Compensation insurance, and enjoys an excellent reputation within the coastal community and the national building community. Relax — we’ll handle it all. Feel free to reach out to us, we would love to hear from you! Local company specializing in kitchens, baths, and gas fireplaces complete with showroom and laminate counter top shop. In business since 1971 and proudly serving the community's remodeling needs happily as either retailer or installer. Delaware's leader of fabrication and installation of Granite and Marble Countertops. With over 500 Granite and Marble slabs in stock we are proud to say we have the best selection on Delmarva. Ancient Art Stone custom fits your choice of countertop by using a digital template process. You can leave your existing countertop in place until the new one is ready to be installed. With one of the largest full stone slab inventories on the Delmarva Peninsula you will have the luxury of seeing the actual placement of the template on the stone before the tops are manufactured. This process ensures that your new countertop will look exactly how you wanted it because you are designing the look on a large slab not a small sample piece of stone. Whether you are building a new house or remodeling your existing home our wide selection of stone and tile is sure to compliment your style. Visit our new showroom to see our large selection of floor and wall tile, sinks, faucets, and accessories. We have a wide selection of granite countertops, tile, and cabinets. Our showroom displays will help you imagine what your finished kitchen can look like. We also carry a wide selection of tile for bath, flooring, and backsplashes. Choose your granite for your countertop and then match up the perfect tile for your flooring or bath. That’s the luxury of choosing a home improvements store with all of the options in one place – everything under one roof so you don’t have to worry that your choices won’t coordinate the way you wanted. The EDGE CO consists of brothers Nick and Fran Edge, who have been serving Sussex County and its beach communities since 1990 as a family owned partnership. We pride ourselves on providing high quality interior and exterior building and remodeling services. With a critical yet creative eye on the details. We are clean, kind and courteous home improvement contractors. We specialize in both interior and exterior painting. We perform kitchen and bathroom remodeling, including custom tile work. We also install replacement windows and doors, decks and siding, and storm doors. We are a “hands on” company. When you hire us, you get us! Not some foreman and his crew. We treat your home as our home. We always make every attempt to keep your home clean and neat during construction. Most essentially, we work hard to keep our customers for a lifetime, and we look forward to making you one of those. And yes, we are licensed and insured. We provide mobility & accessibility solutions to seniors, individuals with limited abilities, and their caregivers. 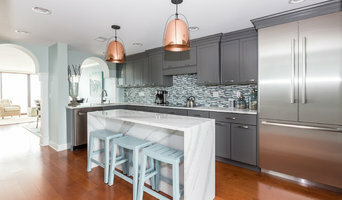 Middletown Kitchen and Bath is a full service design, sales and remodeling firm specializing in the design and remodeling of residential kitchens and baths, as well sales of kitchen and bath cabinetry, countertops, appliances and fixtures to home owners, remodelers and home builders. Middletown Kitchen and Bath is the vision of expert designer, remodeler and project manager Mark Gandy. With 23 years experience in the industry Mark is an NAHB Certified Graduate Remodeler, Certified Aging in Place Specialist, Certified Green Professional and EPA Certified Lead Renovator. Over the course of 23 years Mark has successfully managed a Big Box Home Center, a small family owned start up, and a mid sized regional sales and remodeling firm. Mark has had several articles published in Qualified Remodeler Magazine and has been awarded their distinguished Remodeler of the Month designation. Mark is an active member of the Home Builders Association of Delaware, and has been the organizations Associate Member of the Year, while serving on the Board of Directors and acting as chair person of the state Remodeler's Council. Mark has also won several Regal Awards for the design and remodeling of kitchens and bathrooms in the state of Delaware. From 2010 to 2012 Mark sat on the New Castle County Remodeler's Task Force. This organization was created by a County Councilman and in conjunction with the Department of Justice fought to protect New Castle County home owners from remodeling and construction fraud. In his private life Mark is an active volunteer for the MOT Little League Organization where he coaches tee ball and soft ball, attends the Cornerstone United Methodist Church, and participates in various charitable causes. Middletown Kitchen and Bath is also a member of the Middletown Chamber of Commerce. Our mission statement includes a focus on core values, family and integrity. 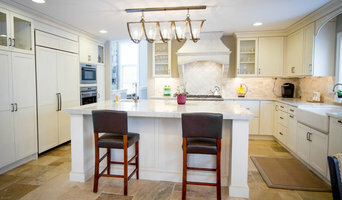 With over 35 years in the industry, an exceptional eye for detail, insistence on the highest-quality materials, and constant communication with our clients, we at Michael Tedesco Building & Renovations, LLC have built a reputation as the area’s premier home improvement and renovation specialists. We specialize in kitchen and bath remodeling in Atlantic City, Brigantine, Margate City, Ventnor City, Ocean City, Wildwood, Avalon, Sea Isle City, Stone Harbor, Wildwood, Atlantic, Cape May and Ocean Counties. We provide you with a highly personalized experience. We streamline our business processes in order to keep you with one point of contact throughout the whole project. We hold your hand until your dream becomes a reality. Our work ethic is one of perfectionism coupled with enthusiasm. We ensure 100% client satisfaction from inception to completion. We want our clients to have fun and relax throughout their experience, and let our 32 years of experience allow you to realize your dream. We are a family-owned business based in Margate, New Jersey, providing professional bathroom remodeling, kitchen remodeling and home remodeling services to Camden County, Gloucester County, Cape May, Atlantic City, Ocean County, Mercer, Monmouth County, and Burlington, NJ. We have been remodeling homes in the New Jersey area since 1985, and we do all of our work without the help of subcontractors! When we start a job, we are there from beginning to end to ensure the project is worked on with TLC. We also send in our cleaning team to clean your entire home after any job, no matter how big or small the project. It’s our goal to provide your entire home remodeling project with just one phone call to our experts. We offer our talent in full layout and design, while also specializing in relocating any major pluming or electric. We can change your entire layout to make the room more spacious, no matter how much space we have to work with. All of the images featured on our website are actual jobs that we have completed in and around the Camden and Gloucester County, NJ areas. If you have any questions about our work, we have a great reference base that is available upon request! Don’t hesitate to give us a call when you’re in need of a home remodel, addition or even just a bathroom remodeling project. We look forward to making your home even more beautiful and functional! Camden Enterprises can make sure you are safe in your bathroom. We have been serving the limited mobility and home improvements industry for a long time. We have always been known for your courteousness and professionalism. We always believe in going above and beyond for all our customers. Our employees are experienced in the field of Walk in Bathtubs, Showers, bathroom and home remodeling. Camden Enterprises has the capability of guiding the customers in the right direction. We will give guidance to get the right product for you and your home. Camden Enterprises provides the best quality mobility products in the industry for the lowest prices possible. We have eliminated the middlemen and we do all of the installations. Therefore, we can pass on the savings to our customers. Kitchens and bathrooms are two of the hardest-working spaces in any home. When it’s time to update them, ensure that they stay at peak functionality by hiring a Milton kitchen and bathroom remodeler. With an eye for aesthetics, a practical approach to layout and design, and the skills of a contractor, a bath or kitchen remodeler in Milton, DE can help you execute a remodel suited your personal style and needs. What does a Milton kitchen and bath remodeling expert do? Licensed Delaware kitchen and bath remodelers are contractors who specialize in altering the structure of an existing space, rather than building one from the ground up. Because he or she must deal with a previous builder’s work, the job can get more complicated than new construction. You might wonder why they often specialize in both kitchens and bathrooms, but if you think about those two spaces, they actually have a lot in common. Kitchens and bathrooms include an abundance of fixtures that require careful planning and installation, including sinks, faucets, tubs and toilets that all need water hookups and drainage. They also use similar materials, such as tile and stone for countertops and flooring, due to the nature of their use. So it makes sense that Milton kitchen remodelers and bathroom remodelers be one in the same. A bathroom or kitchen remodeler translates architectural plans from page to reality; some are also trained to provide design services so that you don’t have to hire a separate pro. Like a general contractor, a kitchen and bathroom remodeler in Milton, DE is responsible for hiring and supervising subcontractors and providing materials when necessary. They also should have a thorough knowledge of Delaware building codes and construction-related legal issues, as well as current design and product trends. Here are some related professionals and vendors to complement the work of kitchen & bath remodelers: Woodworkers & Carpenters, Kitchen & Bath Designers, Interior Designers & Decorators, Architects & Building Designers, General Contractors. Find a Milton kitchen and bathroom renovator on Houzz. Narrow your search in the Professionals section of the website to kitchen and bathroom remodelers in Milton, DE. You may also look through photos of Milton, DE spaces to find kitchens or bathrooms you like, then contact the bathroom or kitchen remodeler who worked on it.